All business between Rare Italy and its clients will take place via e-mail or by fax. Verbally booking will not be accepted. The R.S.I. final booking confirmation for your clients travel arrangements will be sent within 24 hours. For last minute bookings, only full prepayment by credit card can be accepted. Rare Italy must receive copy of the bank transfer per each reservation. Payments by credit card must be accompanied by a signed authorization form, a copy of the credit card front/back and ID. It is possible to print out the credit card authorization form from our web site. You can fax them at +39036585235. A credit card commission of 1,5% will be added to the total amount of the booking. All rates are stated in Euro and inclusive of VAT. Rates are net. If additional penalties are applied, due to different suppliers policy, you will be informed via email. Any cancellation on event, theatre, concert, special interest, activity and attraction tickets/passes attracts a cancellation fee of 100%. When cancelling the booking you will be notified via email of the total cancellation fees. Once your holiday has commenced, no refund will be made. As mentioned in the payment policy Rare Italy is entitled to cancel the booking if payments are not received within the terms above-mentioned. Notice of cancellation will be made by e-mail. Any change is possible, without any penalty, within 05 days prior customer’s arrival. Rare Italy is not responsible for hotel overbooking and for any compensation it may be requested for the inconvenience of being relocated in another hotel. Rare Italy is not responsible for any unused portions of your trip or tour services and will not refund any money. Failure to redeem the tour components as per the pre-arranged times may result in the loss of that tour component and no money will be refunded. Rare Italy must be informed in writing by clients about any complaints that may occur during their stay. If clients fail to inform Rare Italy, We are not responsible for the consequences of the complaints. Rare Italy will only take into consideration complaints made no later than 4 weeks days after the client’s departure. In the unlikely event of any legal dispute the competent court is deemed to be where the organization has its legal domicile, in this case in Brescia. 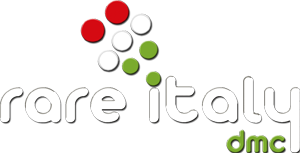 Rare Italy is responsible to you in making arrangements for the tour services offered, including transportation, sightseeing and hotel accommodation. The carries, hotels, and other suppliers providing tour services are independent contractors and are not agents, employees, or servants of, or joint venture with the Company. Rare Italy does not assume any liability whatsoever for damage, loss, injury, death, accident or delay to person or property due to an act of default by any hotel, carrier, restaurant, or other person rendering any of the services included in the tour or by force majeure. Rare Italy reserves the right to make changes in the itinerary whenever the company deems it necessary for the comfort, convenience or safety of the participants and to cancel a tour at any time. No responsibility are assumed for any delay or damage due to illness, government restraints, labour disputes, machine breakdown, acts of terrorism, weather or any other causes beyond Rare Italy’ s control. All business between Rare Italy and its clients will take place in a written form (via e-mail or fax). No business shall be transacted verbally. Any offer, made by Rare Italy, is considered accepted by the client after receipt of written confirmation within the terms indicated in the offer. A final booking confirmation will be sent by Rare Italy within 48 hours. Vouchers will be sent by fax or e-mail after receipt of the final payment. Late bookings are the ones confirmed by the client one month prior to group’s arrival. Full payment is due at the time of the final confirmation. • 30% of the tour cost must be received at the confirm of the group. • The balance must be received within 20 days prior to group’s arrival. • Between time of booking and 45 days prior to arrival: Any or all space reserved stated in the contract may be cancelled without any additional penalty besides the non-refundable deposit. • 45 – 30 days prior to arrival: up to 20% of the total amount of the guest room revenue stated in the contract may be cancelled without penalty. A penalty equal to 50% will be applied to any cancellation exceeding the above 20%. • 14 – 7 days prior to arrival: Up to 5% of the original or remaining guest room revenue may be cancelled without penalty. A penalty equal to 90% will be applied to any cancellation exceeding the above 5%. • 6 days and the day of arrival: The whole cost of the cancelled space will be charged. • No shows: The whole cost of the cancelled space will be charged. As mentioned in the payment policy (2) Rare Italy is entitled to cancel the booking if payments are not received within the terms above-mentioned. Notice of cancellation will be made in writing. Rare Italy has to be informed immediately by clients about any complaints that may occur during the tour. If clients fail to inform Rare Italy, Rare Italy is not responsible for the consequences of the complaints. Rare Italy will only take into consideration complaints made no later than 5 days after group’s departure. In the unlikely event of any legal dispute the competent court is deemed to be where the organization has its legal domicile, in this case in Brescia. Rare Italy is responsible to you in making arrangements for the tour services offered, including transportation, sightseeing and hotel accommodation. The carries, hotels, and other suppliers providing tour services are independent contractors and are not agents, employees, servants of, or in joint venture with the Company. Rare Italy does not assume any liability whatsoever for damage, loss, injury, death, accident or delay to person or property due to an act of default by any hotel, carrier, restaurant, or other person rendering any of the services included in the tour or by force major. Rare Italy reserves the right to make changes to the itinerary whenever the company deems it necessary for the comfort, convenience or safety of the participants and to cancel a tour at any time. No responsibility is assumed for any delay or damage due to illness, government restraints, labour disputes, machine breakdown, acts of terrorism, weather or any other causes beyond Rare Italy’ s control.